The battle against drug production in Afghanistan is intensifying, as a new player – the Central-Asian Drugs Quartet has been founded in Moscow, with Russia, Pakistan and Tajikistan pledging to support Kabul. 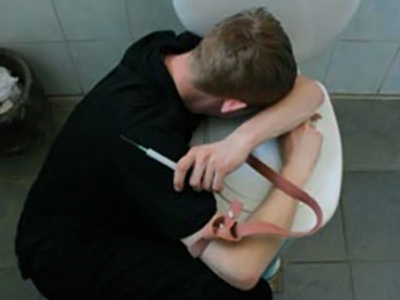 Over 2.5 million Russians are addicted to Afghan heroin. Afghanistan produces 90% of the drug worldwide. A UN resolution describes the narcotics flow from the Central Asian country as a threat to international peace and stability. On the sidelines of the Moscow meeting, RT talked to the Afghan Counter Narcotics Minister Zarar Ahmad Osmani. RT: Today, the annual volume of Afghan drugs is about US$65 billion. That is five times the country’s national budget. Who is behind this industry? Who benefits from it most? Zarar Ahmad Osmani: Undoubtedly, Afghanistan itself is a victim of that evil. The rest goes to other parties involved in trafficking. Afghanistan is a country with 960,000 drug addicts, which is why we say Afghanistan is a victim of drugs. It's a great evil for our country. Smugglers make huge profits. We can say for certain – and prove – that international terrorists are active in the parts of Afghanistan where opium is grown and drugs are manufactured. These are the most problematic areas of our country. Helmand province is one of those. There is no doubt that Afghanistan is responsible for 90% of the world’s opium production. Opium is grown in provinces that lack security. They are the most troubled provinces. There are international terrorist groups there that are very active. We have already managed to cleanse 20 provinces of opium. They are now ruled by law. We don’t have any problems with those provinces. RT: Are you saying that international terrorism benefits most from the trafficking? Is this correct? ZAO: Let us judge fairly. Afghanistan is a major manufacturer of opium, responsible for 90% of it. On the other hand, it’s obvious that the poppy is grown in the most restless areas. This proves that there is a link to international terrorist organizations and the Taliban. Studies indicate the Taliban receive $125 million from drug exports. Therefore we can say international terrorists, the Taliban and organized crime groups are involved. Those involved can be divided into two categories: those inside the country and foreign groups, with certain connections. The international terrorists and crime groups encourage opium farming. Afghanistan only produces opium, but you need additives, or precursors, to turn it into heroin, up to 1300 tons. Afghanistan does not produce them. Where do they come from? Obviously, there's an international network trafficking these precursors. That’s why we say that the drug problem is not localized in Afghanistan – it's international. When we say that millions of Russians die from drugs… 960,000 Afghans are addicted too. That’s why Afghanistan’s efforts alone will not be enough. Afghans consume 5% of the drugs while the other 95% are exported. That’s why we insist on international cooperation in the struggle against drug trafficking. RT: What is your strategy for fighting the opium trade? ZAO: The drug problem has a domestic and an international side. According to the strategy we've developed to fight opium exports, we're trying to help our farmers financially so that they don’t have to grow opium poppies. Most Afghan poor, 80% of them, are extremely poor. They have very little land so they grow the poppy to make a living. The other 20% are major landowners who rent out their land plots for opium farming and encourage it. Out of this group, 13% are landowners involved in drug production. To get the farmers to give up opium farming, the government has devised an aid program, encouraging them to grow other crops such as wheat. But we need international support. Also important in the strategy is the reduction of demand for drugs. We also intend to take measures to increase the efficiency of our law enforcement structures, which help fight the scourge. RT: What concrete steps are you empowered to take? ZAO: The counter narcotics ministry persists on regional cooperation,now – joint bilateral operations against drug dealers are carried out in the country along with Iran and Pakistan. Operations with Tajikistan are also in our plans. In the past four years thousands of tons of drugs have been seized. RT: Talking about concrete steps and international support, Russia advocates burning the poppy crops. Why can’t this be done? ZAO: I can say specifically that there are certain problems. In the areas where the Afghan government can do something against the opium poppy, it has done so – 20 provinces have been cleansed of opium plantations. However, in eight provinces war is going on with international coalition forces present, the Afghan army and the Afghan national police force. So certain problems are there. And there are areas where the Afghan government is not in control. In this respect, earlier, 197,000 hectares of land were used to grow opium poppy. That figure has been reduced to 123,000, or a 47 % drop. Progress is apparent. If we destroy the opium poppy fields, this will result in anger – the angry children of those farmers will take revenge and join the Taliban. These problems did exist, are existing and will exist. Therefore, if we've managed to cut opium production by 45 %, it’s only one aspect. As a result of this reduction, the opium prices have soared by 200 %, which by itself proves there is a huge demand, which in turn, is an incentive for the farmers to grow poppies. Destroying opium fields doesn’t help; it is not the solution. At the same time, I am not saying I'm in favor of poor peasants growing opium poppy. It is a problem that our society has to face; poor people have the right to live and to earn a living. They must be offered an alternative, and they must be helped so they could give up growing poppies. This way, we can solve the problem. Afghans themselves never grew poppies before. The problem came to the country together with the war. It is the result of the impoverishment brought by drought on the one hand and by war on the other; and the poppy has a very short time to harvest. That is why they chose it that way. RT: You've mentioned alternative agriculture. The EU and the US, donate half a billion dollars to alternative agriculture in Afghanistan each year, but this money disappears in the corrupt political system. Can you explain how this happens? ZAO: Fighting drugs is very complicated, and it requires a very comprehensive approach. It is obvious that efforts taken so far by the government of Afghanistan have brought some results. 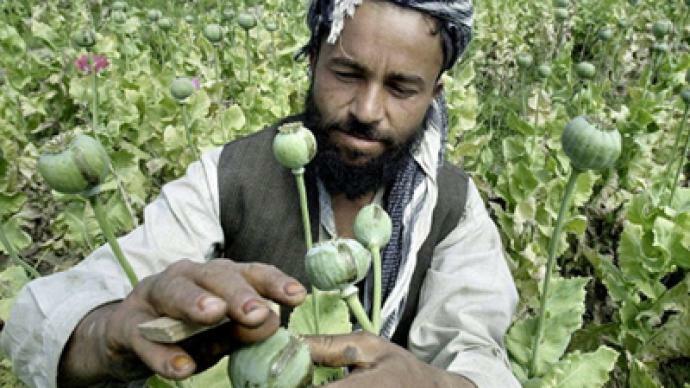 In 20 provinces, the poppy is not grown anymore; also, 5,000 drug dealers are now in jail. Help has also been provided to poor peasants. Regional co-operation has, of course, been very helpful. We see that provinces where the war still rages on, where there is no security, account for 98% of all poppy and opium production. So this is the huge problem: that there's no security in those regions. RT: So, can the countries donating their money to Afghanistan be sure that this money will go to what it is supposed to go to? ZAO: About what you've mentioned – donated money disappearing – I should say that of all the money allocated towards fighting drug crimes, the Afghan government spends 20 to 30%, with the remaining 70% spent by the donors themselves. They have their own projects which they fund themselves. RT: So, you are talking about international efforts, international cooperation in fighting drugs. Who are Afghanistan's key partners in this war? ZAO: The biggest donor is the USA and also Britain helps Afghanistan a great deal, but still, this help is not enough and should be expanded. Besides, I think that the efficiency and capabilities of anti-drug police in Afghanistan should be increased. Their capabilities have grown recently, but it's not enough. Similarly, drug police in Tajikistan is having the same problems now, and that country needs help, too, so that joint efforts could bring tangible results. RT: The US Ambassador to Afghanistan, Karl Eikenberry, claims you are associated with the drug mafia in Afghanistan and that you bought support for the nomination by $8,000 to $15,000 dollars a vote. What do you say to these accusations? ZAO: I have not heard Karl Eikenberry say anything about me. I am not sure he has said anything of the kind, because he is very pleased with my work, and we have closely cooperated with each other. He has always encouraged us and is taking an active part in the fight against narcotics. I have always worked in a transparent way, clearly and precisely. There have been no accusations against me. I don’t know where it has been published – I have to find and read it. But I am sure that Karl Eikenberry must not have said anything like that about me, because we have been in close cooperation. He is well aware of everything we have been doing, and my work is transparent. RT: For the first time in history, a Russian diplomat [Yury Fedotov] is heading the UN Drugs and Crime Office [UNODC]. What difference do you think his appointment will make to the war on Afghan drugs? ZAO: The UNODC is an independent organization within the UN. It’s up to him to lead it. We will wait and see how efficient his work will be. We hope to work together and with good results. RT: The US General [Dan] McNeil says President Karzai is the missing link in the war on drugs and his ‘inaction has allowed heroin flourish’. As his counter-narcotics minister, what would you have to say to that? ZAO: President Karzai has been responsible in fulfilling is duties, and the results are there. Twenty provinces, I told you earlier, have been cleansed of opium poppy. Some progress has been made in other areas. President Karzai’s attitude to these problems is very responsible. I don’t agree with what General McNeil had to say. According to the agreements reached, before 2014 the Afghans will assume responsibility for security in the country. I am sure when they have assumed it and are in charge of their own country the efficiency of their work will grow. At the same time I can assure the struggle against international terrorism and narcotic drugs is not a matter of one or two days – it’s a very long process. This fight will continue. For that, international efforts are needed to have bases abroad destroyed. Afghanistan will be fighting for that.